Looking for a New type a party? 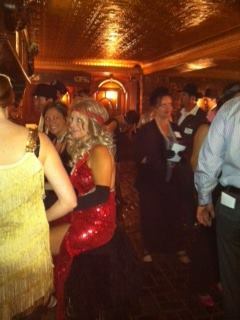 Check out our Murder Mystery Parties!!! 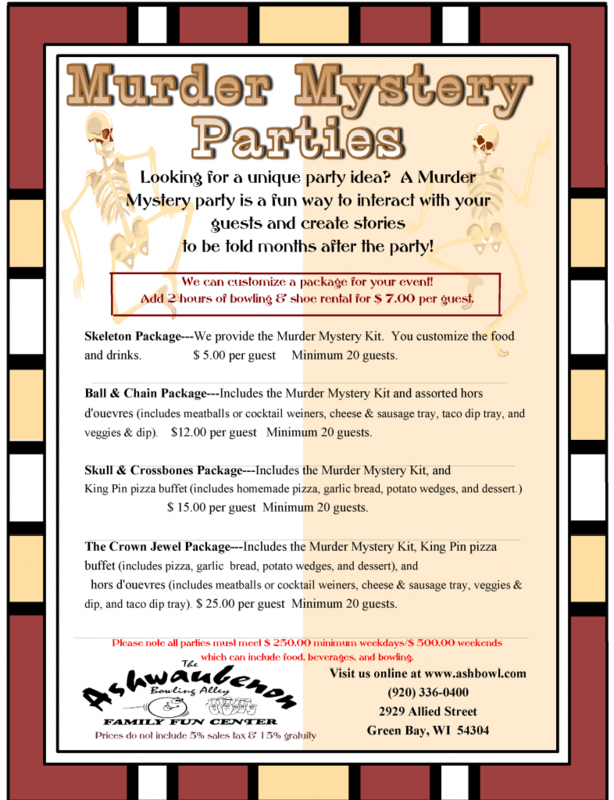 Ashwaubenon Bowling Alley is now hosting Murder Mystery parties. We have a variety of different themes to choose from. Host you next gathering with us and be swept away with your own who dun it! See Below for party options! Call us NOW at (920) 336-0400 to book your party!